Most rental companies house a lot of assets for steady business. Keeping track of these assets is tough, and sorting them out for deliveries and maintenance even tougher. For this purpose, having a uniform method of identification helps companies manage their rental assets more efficiently. EZRentOut allows you to print unique labels for all of your assets. Let’s see how. In order to get started with designing your Print Labels, head to More → Printout Templates. The default templates are available to use right away but you can edit them as per your liking. You can also design your own to include as many asset details as you like. Click on the Add Print Label Template button to start from scratch. If you choose to edit or create your own print labels, you will be taken to the Label Designer. The canvas here is completely customizable. Choose from an array of elements that allow you to customize your print label. Adjust the dimensions of the label, the types of elements you want to feature, and their placements and sizes as well. You can also choose between two types of color tags to add to your label. These also feature 9 different colors. Drag and drop the shape of your choice from the design elements available. Double click on a shape to change its color. This comes in handy when you quickly want to identify an item’s category by looking at the label. As an example, an AV rental can use red color tags for Nikon Cameras and blue for Sony Cameras. This makes identification easy for all staff user involved. Any custom field can be printed on a Print Label. For a custom field to be available in the design layout elements, you will have to go to More → Custom Fields and adjust its Preferences to enable the print layout setting. The Custom Field we edited and added in the example below defines the fragility of an item. You can also have a custom field show when the QR Code for an asset is scanned. 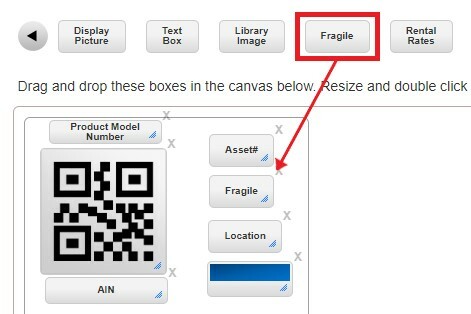 Enable Company Settings → Public QR-Code Scanning and then go to More → Custom Fields. Edit the settings for the Custom Field you would like to show on public scanning. Enable the preference “show on public QR-code page”. Note: Ensure your pop-up blocker is disabled before printing labels. PDFs will not open if pop-ups are disabled. 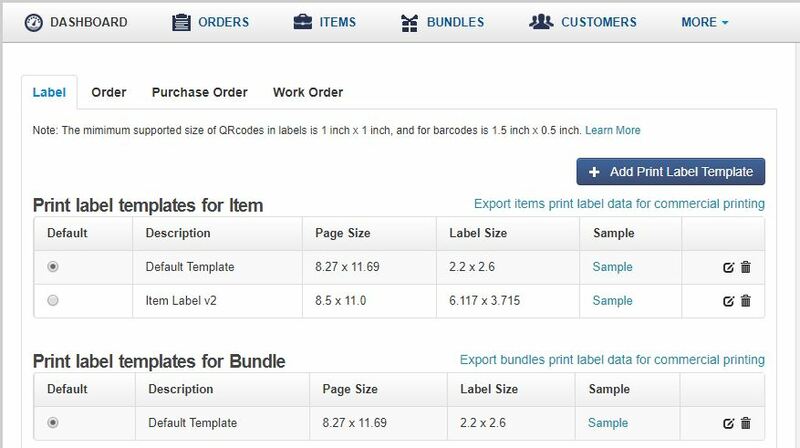 Single Step Printing is enabled by default and allows you to print labels directly from the item details page without first sending them to the Print Queue. This speeds up printing! If Single Step Printing is disabled, go to the Notification bell at the top-right of your EZRentOut interface. A dropdown menu will appear. Go to the Print Queue and check “Single Step Printing” here. 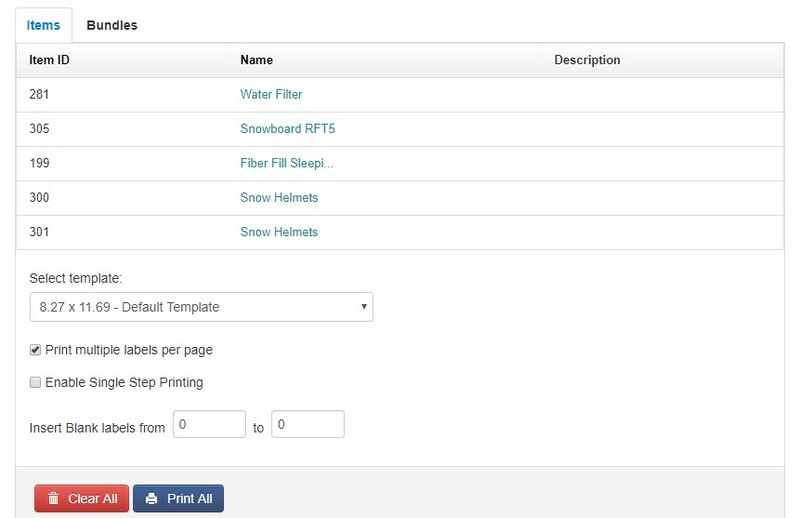 With Single Step Printing enabled, hitting the ‘Print label’ from an Item’s details page (or using the mass action on the Item listing page) generates a PDF that can be printed. You can also generate an email with this PDF attachment if you enable the ‘Email Print Labels’ alert from More → Alerts. The PDF attachment will be emailed to the current user’s email address. For single step printing, you can customize the template and the printing options before enabling it. The settings will hold even with single step printing enabled. Print labels for Bundles are generated in the same manner. For bundles, one print label per bundle will be generated rather than multiple labels for each of its contents. To print an item’s label with Single Step Printing disabled, head to an item’s detail page. On the right side of the page, click on the Print Label button. This will add the label to the Print Queue which can be accessed from the Notifications bell → Print Queue. Once you are done adding print labels to the Print Queue and are ready to print them, go to the Print Queue. Note: Once a print label for an item is in the Print Queue, you cannot add it again till you either ‘Print All’ or ‘Clear All’ in the Print Queue page. Select template: You can choose a template here – default or custom label template. The print labels will be generated based on this template and its format. Print multiple labels per page: Enabling this will print multiple labels per page queued here rather than one label per page. Learn more: Can I print multiple/variety-of asset labels on the same page? Clear All: This will clear the entire queue. Print All: This will print all the labels in the queue. A PDF will pop-up or an email with the PDF attachment will be sent to you depending on your settings. 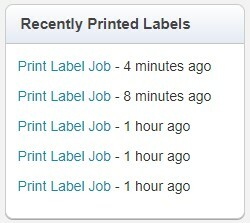 Recently Printed Labels: All print jobs show up in the ‘Recently Printed Labels’ column on the Print Queue page. You can also print labels for multiple items in one go from Items → Asset/Asset Stock/Inventory. Check the desired items in the list and go to Actions → Print Label. Learn more: Can I print item labels for all my assets at the same time? 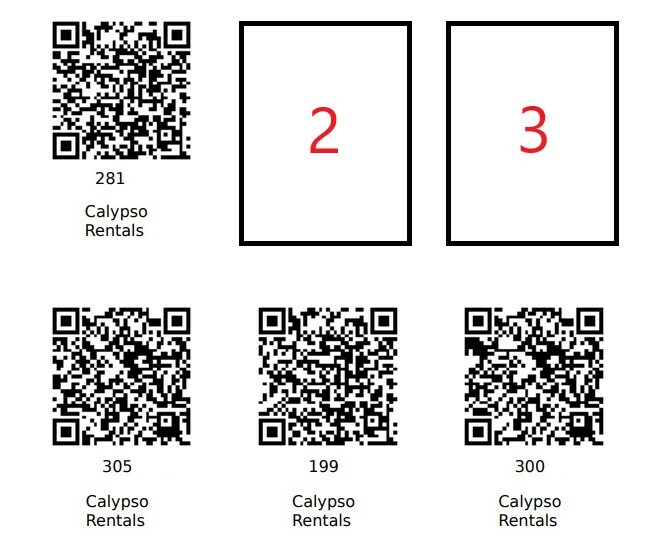 Printing QR Codes: QR Codes are encoded using an item’s Asset #. 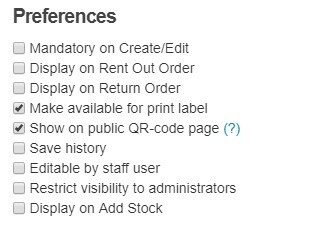 Ensure that the template you use includes a QR Code element prior to printing (the existing templates in EZRentOut have a QR code element by default). Printing Barcodes: Barcodes (1D tags) can be printed by EZRentOut to ensure backward compatibility in case QR Codes are not suitable. These are generated using an asset’s Identification Number so you must specify one for every asset prior to printing. The barcode element must be added into a template before it can be printed. Learn more: What are identification numbers? 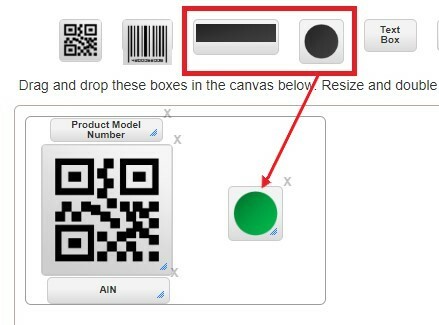 If you already have Barcode labels printed, you can link them with your EZRentOut assets by saving the Barcode numbers in the ‘Identification Number’ field present in the item details page. Once the Barcode number is recorded, the software will be able to recognize the Barcodes upon scanning. Once recognized, details for the item will be fetched so you can take actions on the item. An easy way to add an Identification Number is through scanning. To do this, simply configure your external Barcode scanner and scan your Barcode number into the Identification Number field or use our mobile app. EZRentOut allows users to generate new labels for their inventory items as well as use existing barcodes on them. All items in one inventory usually have one same label pasted on all of them. This barcode or QR Code label can be scanned to bring up the inventory and take actions like adding or removing stock. To print labels, go to Items → Inventory. Go to the details of the inventory item and click Print Label. Specify the number of copies and print! If, instead, you wish to print labels in bulk, check however many inventory items you like on the Items page and go to Actions → Print Label. Specify the number of copies and print away. If you prefer getting your items printed from a professional printing service, you can export the required data points to an excel sheet to forward to your printing service. Go to Settings → Print Label → Export items print label data for commercial printing. You can then choose the groups that you want data for and have it emailed to you. The member type of a user influences what level of actions they can take pertaining to Print Labels. Account Owners can view, create and take all actions regarding Print Labels. Admins can only view and edit them. They also receive email alerts for Print Labels. Staff Users cannot view or edit print labels. They do not receive any email alerts. Assets get lost all the time, be it within your company or while in your customer’s possession. EZRentOut allows companies to enable Public QR Code Scanning on their assets so whoever finds the asset can scan the QR code to draw up its details. To enable this feature, go to Settings → Company Settings → Policy → Public QR Scanning. Select whichever details to display and secure your assets! For other material recommendations and designing tips, explore the best practices for labeling rental assets. 1. How to print display picture of an item on a Print Label? 2. I need to get a bunch of QR Codes/Labels printed beforehand. I’ll add items to EZRentOut later. 3. How can I print on dedicated label printers (Brother, Dymo, etc.)? 4. How do I print a Stock Item list with images? 5. Is it possible to generate QR Codes before assigning them to the actual assets?